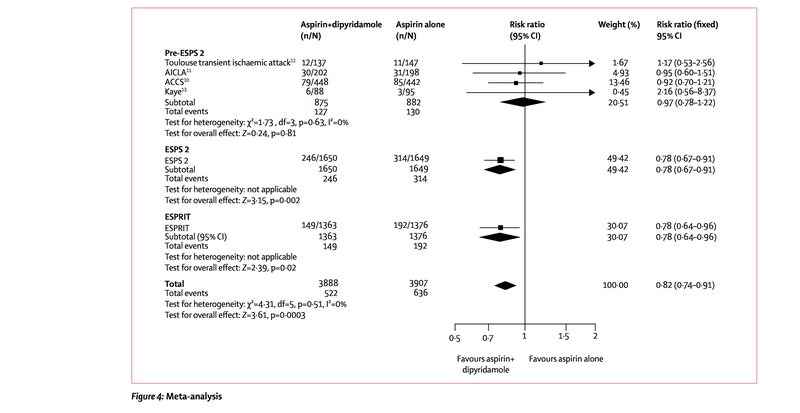 Prior to this study we knew ASA+ER Dipyridamole was better than ASA alone (ESPS2 , ESPRIT). 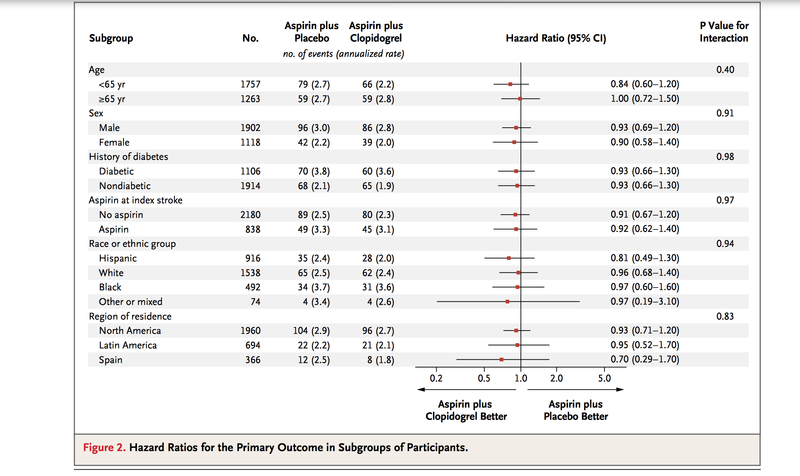 We also knew Clopidogrel is better than ASA alone (CAPRIE). 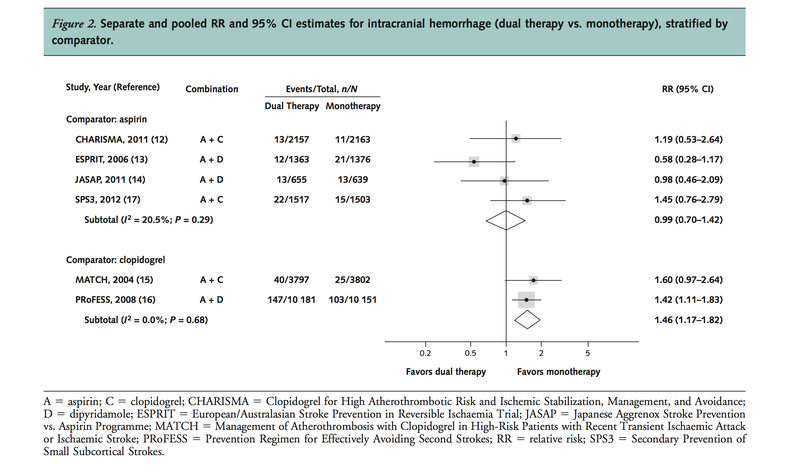 We knew Clopidogrel + ASA is not better than ASA alone (CHARISMA). 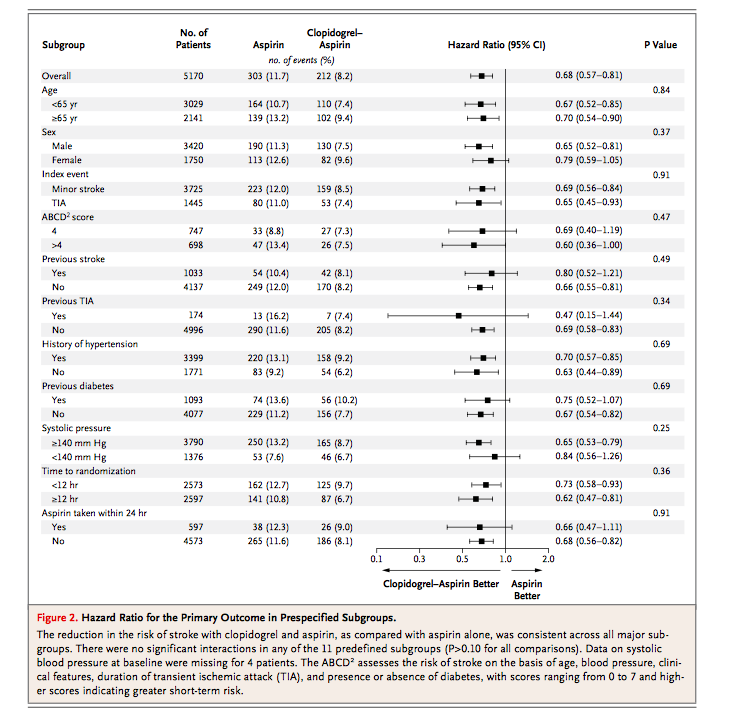 But, we did not know if Clopidogrel is better than ASA-ERDP. PRoFESS answered that. None is superior to other regimen. 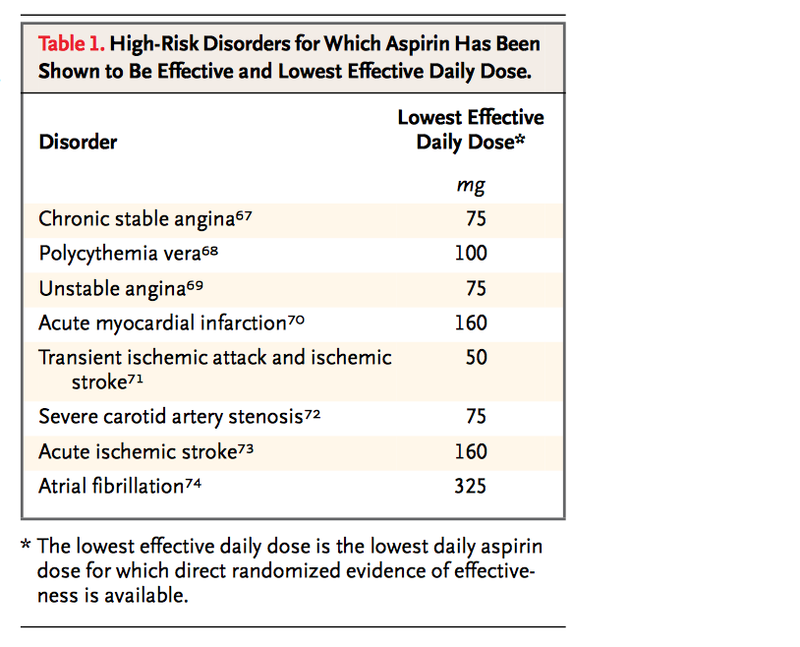 At least, from the study thus far, either ASA-ERDP or Clopidogrel is the treatment of choice. 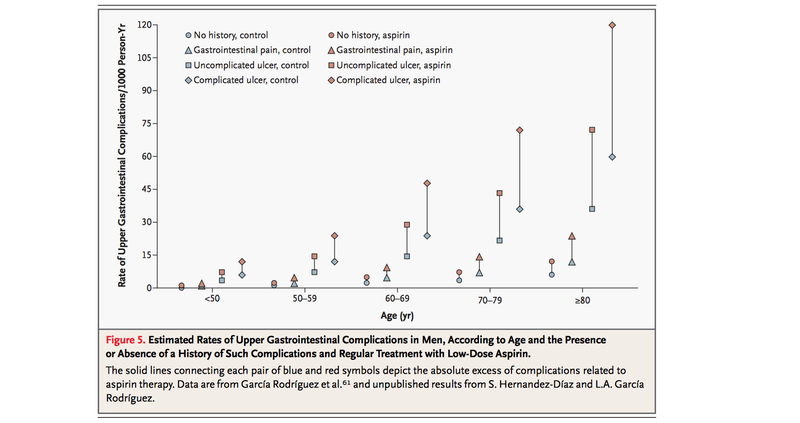 ASA alone while dose work (ATTC) should be less preferred. 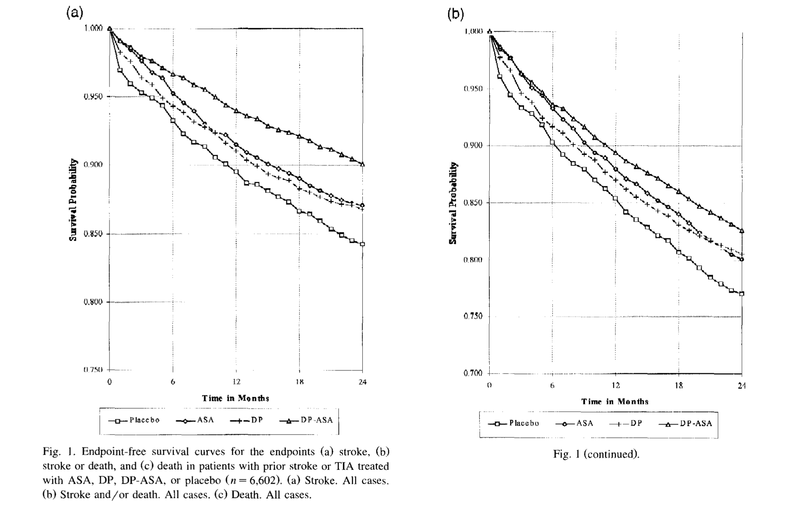 However, PRoFESS was a non-inferiority trial, and the fact that hypothesis was not proved one could argue it is inferior. 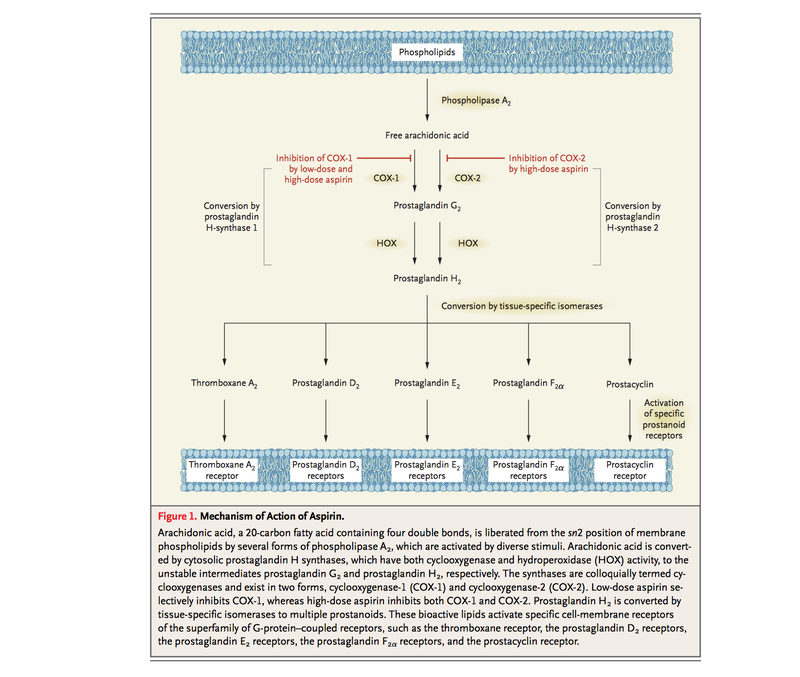 Hence, please read this editorial (NEJM Editorial 2008) for better clarification. 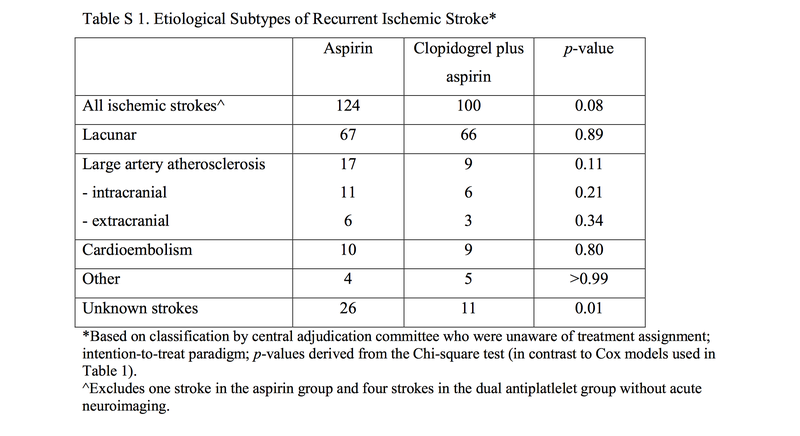 In patients with recent Lacunar Stroke, ASA+Clopidogrel is not better to ASA alone. 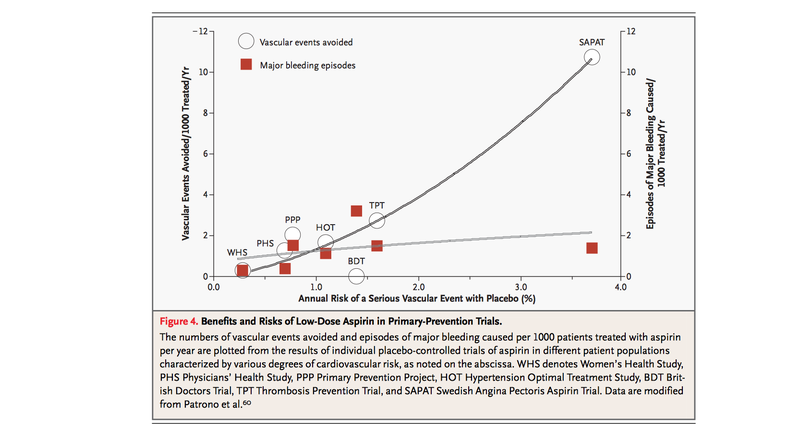 It however, increased the risk of bleeding. Conclusion from this study, further supports the finding of CHARISMA 2008. 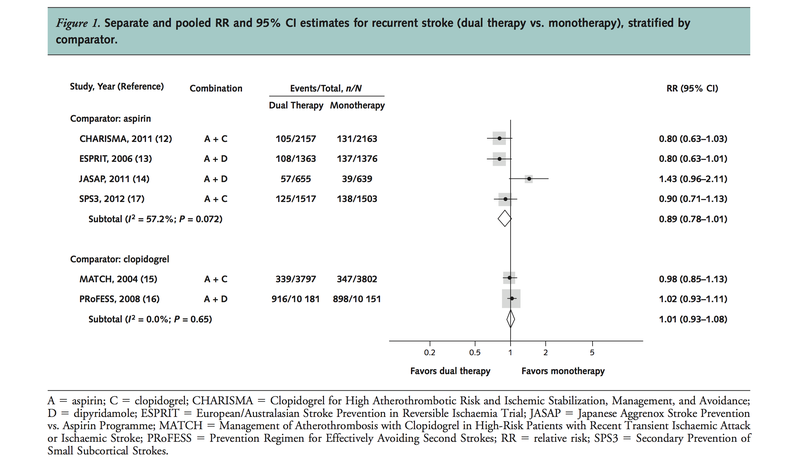 Based on these data, no role of DAPT in lacunar stroke. 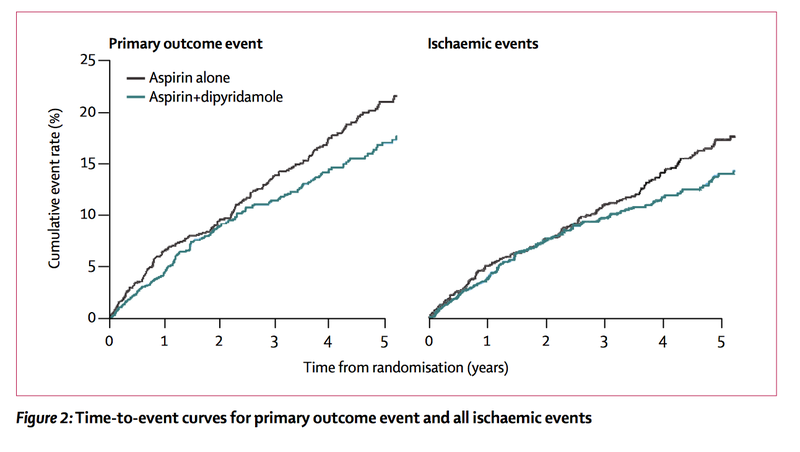 However, despite the lack of evidence, one could argue the benefit of DAPT in Large artery atherosclerotic disease (no study in such population so far).